You are here: Home / Evidence-Based Living / Are mammograms worthwhile? The National Cancer Institute recommends that women age 40 and older have a mammogram to screen for breast cancer every 1 or 2 years. But now a new study is raising questions about whether mammography is really worthwhile. The new study, published in the British Medical Journal, followed more than 90,000 women over 25 years to answer the question, is there any benefit to detecting breast cancer early using mammography? According to this study, the answer is no. In this study, researchers tried to identify if there is a benefit to finding breast cancer when it’s too small to feel. They randomly assigned a sample of Canadian women to have regular mammograms and breast exams by trained nurses or to have breast exams alone. They found that death rates from breast cancer were the same in women who got mammograms and those who only got breast exams. In addition, mammography often lead to unnecessary cancer treatments. One in five cancers found with mammography and treated with chemotherapy or radiation ended up not being a threat to the patient’s health. An editorial published along with the study notes that since new drugs are more effective at combating breast cancer, it’s less important to find a lump in its earliest stages. 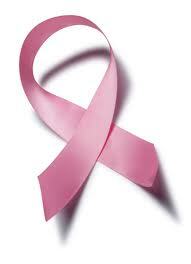 Further, as more women become aware of breast cancer, they are more likely to notice a lump in a breast self-exam. It’s important to note that, while far-reaching, this is only a single study. For its part, the American Cancer Society convened a panel of experts to review all of the evidence on mammography, and plans to issue new guidelines about its use as diagnostic tool later this year.